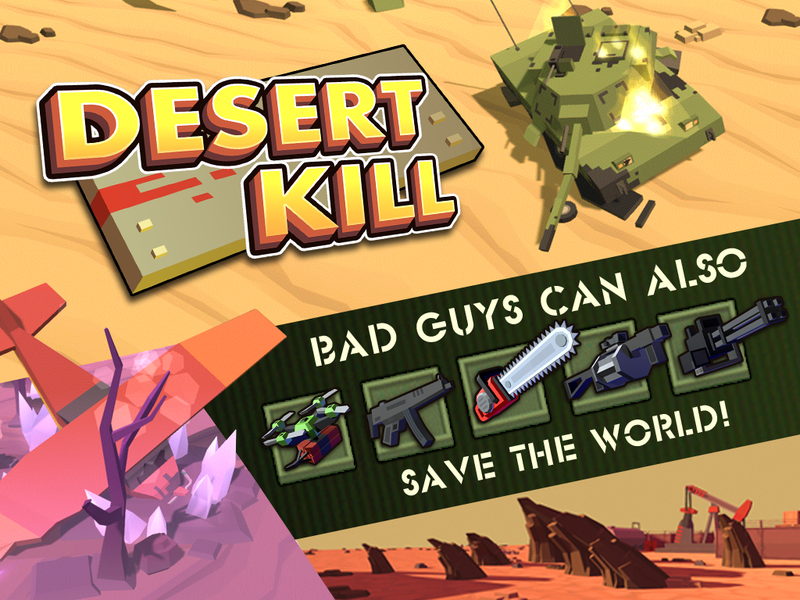 “We have been developing DESERT KILL for two years and we believe that now is the time to introduce the game to a wider audience. We can bring the game to the final release and make it better with your help! First of all, we want to build a cohesive community. We created a Discord server for this: there you will be able to communicate with us and other players who play the game and want to improve it. There we tell about all the updates of the game and carefully analyze your feedback. If you find a mistake or have an incredible idea, we are always happy to discuss it with you! Be warned that errors may be present in the game, some game mechanics may be revised and improved in the future. We will improve gameplay, work on performance, fix errors and add new features. “Creating a version in early access first of all we pay attention to the “core” of the game, that is we make sure that its main elements work as we intended. We plan to add more content, bring the game to perfection and at the same time translate it into other languages in the full version. “The main part of the game has already been completed, so now you are waiting for a full-fledged gameplay. And although the game is fully ready for your playing, it will undergo many changes and improvements at the early access stage. For example, in addition to the development plans already mentioned in the previous question, we will continue to hone the game balance and visual component. “Community is a vital part of the development process. We want to create a community in which any player can communicate with us directly and we will pay close attention to the player feedback to improve our game. Nothing planned is the final option, we constantly implement new and interesting ideas and listen to our community. We know that often players feel the needs of the game much better. DESERT KILL from IO Games – a roguelite top-down shooter where you have to destroy evil forces in the most brutal way is available on Steam for $9.99! DESERT KILL is coming on April 17, 2019! Add it to your wishlist and wait! Game has cartoon violence: our characters can bleed, be damaged or ripped to pieces. But nobody gets hurt. Sometimes there may be alcohol or a cigarette but it's only for making suitable atmosphere.